Two Wellesley professors have won Andrew W. Mellon Fellowships for Scholars in Critical Bibliography at the Rare Book School at the University of Virginia. Wellesley is one of only five academic institutions to have multiple fellowship winners, and the only liberal arts college to do so. Simon Grote (history) and Sarah Wall-Randell '97 (English) will partner with the Rare Book School for courses and programs that will inform their research, their teaching, and their participation in Wellesley’s own Book Studies program. 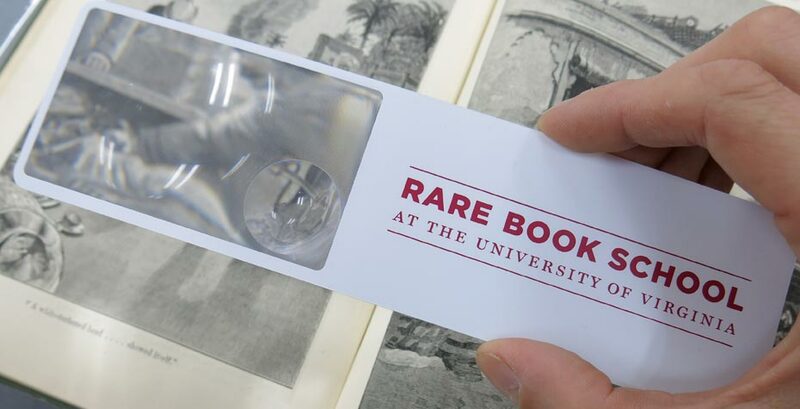 Founded in 1983, the Rare Book School provides continuing-education opportunities for students from all disciplines and levels to study the history of written, printed, and born-digital materials with leading scholars and professionals in the field. The Andrew W. Mellon Fellowships for Scholars in Critical Bibliography is a three-year fellowship program, aiming to reinvigorate bibliographic studies within the humanities among junior faculty members. According to the fellowship website, each fellow visits the Rare Book School for one course each summer to receive hands-on training and develop a network of mentors and colleagues interested in bibliographic questions; they subsequently lead symposia and other events at their home campuses on related topics. Assistant Professor of History Simon Grote studies the intellectual history of the German- and English-speaking parts of Europe in the 17th and 18th centuries. He explores the question of why early 18th-century Scotland and Germany witnessed an explosion of interest in theorizing about beauty and the arts, now considered to be the moment when modern aesthetic theory was born. In his Spring 2014 course on sentimental education in early modern Europe, Grote brought his class to Wellesley’s Special Collections each week to examine a different piece of visual or material culture relating to questions of sentiment and sentimentality. Assistant Professor of English Sarah Wall-Randell focuses on Renaissance literature and recently published a book on representations of the book in early modern English romance texts. “The thing I am most looking forward to about the fellowship is getting to spend time discussing book studies with an incredibly exciting and diverse group of young scholars who study the history and future of the book from within their different fields—literature, history, art history, and others—at universities and colleges all over the United States,” says Wall-Randell. She looks forward to integrating what she learns through the summer course in Virginia into her new course for Fall 2014, ENG222: Renaissance Literature and the History of Media. The Book Studies program at Wellesley seeks to connect faculty and students from all disciplines, including those who already have research and teaching interests in book studies, from ancient to postmodern, and those who would like to learn more about the book, through classes, seminars, symposia, and collaborative scholarly endeavors. Through fellowships such as this one, Wellesley faculty continue to pursue new and interdisciplinary research to the benefit of the entire intellectual community on campus.